Edgewood Large Lighted Address Plaque | LTL-1301 | Free Shipping! 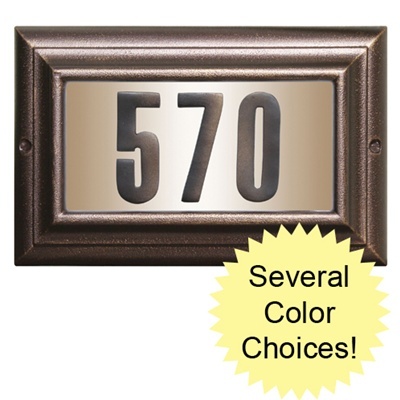 Distinguish your home from all the rest with the Edgewood Lighted Address Plaque. 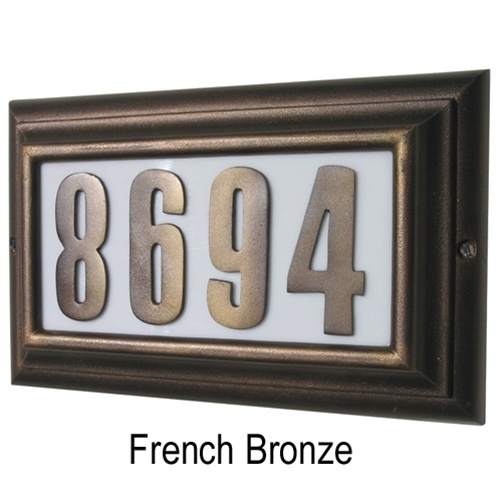 This low-voltage fixture will give your home that rich mark of elegance it deserves. 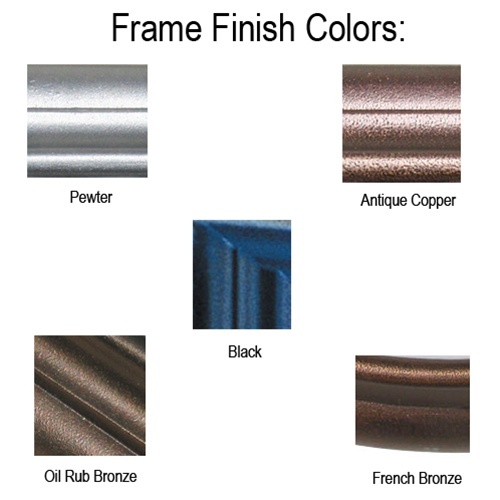 Choose from five different frame finishes, all made of high-quality cast aluminum, guaranteed never to rust. 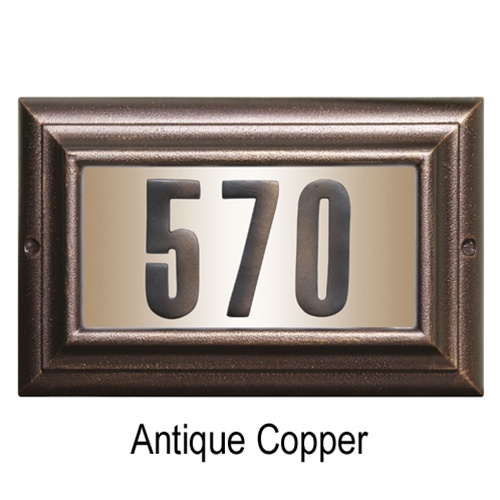 Large 4" numbers are visible at over 100 feet away, providing easy and accurate address identification for guests, deliveries, and emergency vehicles. 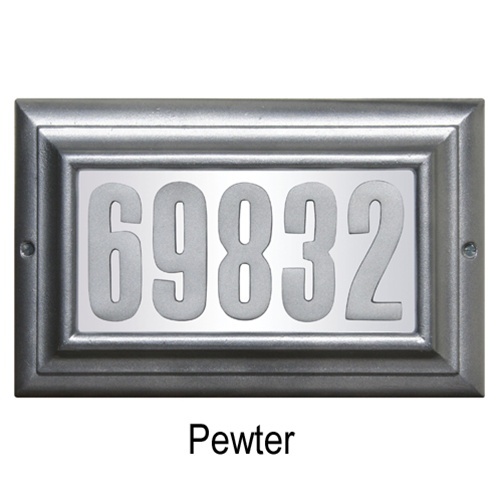 Numbers are made of cast aluminum to match your frame finish. 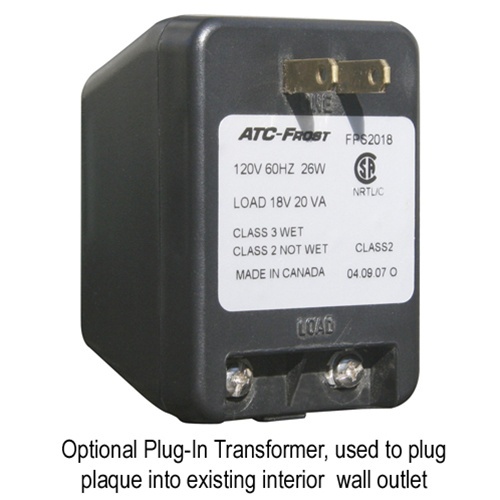 Dimensions: 13.75" x 8.875" x 2.5"